1. People like to associate individual activity with the shared ideas like location and musical taste. 2. From this association, social interaction can happen. e.g. Making new friend because of being at the same place and liking the same kind of genre. 3. Such result of interaction is often actively pursued with expectation. e.g. Going to a place, or liking a genre, to make new friends. 4. This expectation has entertaining value, enough to encourage people to look for effective solutions. e.g. Reading a magazine promoting a Jazz bar playing only Jazz to have fun with new friends. e.g. Posting what song he or she just listened on Facebook and count how many Likes received. An effective solution can provide entertaining value to people. Social interaction should be expected from the effective solution. Associating music and location can generate social interaction. People can get entertaining value from the effective solution for Augmenting Music Listening with Geo-social Interaction. -> Augmented Music Listening with Geo-social Interaction can be an effective solution for entertaining value. PopToo 2017 is Coming Soon! Thank you for staying with PopToo ever since 2011 and 2014! If you were wondering what has been happening ever since, why PopToo didn’t explosively made new progresses for too long, well, it was all because of the main developer (@petershine) being a busy graduate student since 2015. The developer will tell you more about the life of being a graduate student in later time. Since the developer had to do his best to balance proper amount time for different jobs, it has taken too long to re-start New PopToo. But as graduation is coming, PopToo evolution can re-start again to excite all PopToo Friends with new evolution! Also, this re-starting is the significant part of Master’s Project for graduation credits. The main focus of PopToo 2017 will be advancing social interaction among PopToo Friends. Intended as the original concept since 2011, location based song matching for making new friends and previously geocached song recommendation will be implemented. If you don’t know what it is, it’s simple beta app distribution system under Apple’s management. Once you downloaded the beta, just Geotag and Share Your Music! I admit, I’m quite biased in selecting these posts, having positive perspectives. Surprisingly, there are some common understandings I could find, and have come up with myself, about iOS 7’s new look. Though I’m not a professional designer, or an influential leader like the ones above, I think it won’t be too bad to write one more post about iOS’ User Interface. Representation by Animation: Until recently, objects or ideas have been represented by visualization. However, instead of bringing full detail from the looks of the objects shown in the real world, iOS 7 chose to use subtle or obvious animations of the objects, or about the ideas as the essential representation method. Please watch the video about Apple’s Design Intention, and recognize how different animations have been used to identical circular dots, to represent many different objects and ideas. This shift can be a great opportunity to those who believe in the apps to be more dynamic and alive, and a great challenge to those who are so used to draw beautiful but only static images. Content Supremacy: iOS 7’s extremely minimal buttons and labels remind us what we’ve been forgotten; that the app’s main content must have full attention. If pixels or focus inside the device’s screen cannot be shared, so fighting between the main content and user interface controls cannot be avoided, iOS 7 voluntarily yield user’s attention to the main content, by making the controls so thin, translucent & borderless. Because they occupy so little area or look so simple, they can help the main content to be stood out automatically. However, what should not be misunderstood is that, the limitation on the controls can be ignored if they are parts of the main content. Space Telescope: It’s not that easy to bring fluid transitions between views, but iOS 7 provides new methods to help the developer to implement them as easy as possible. I think it is to encourage the device’s screen to be utilized like a telescope showing one area of much bigger space, which includes more contents yet to be shown, until the device’s screen is looking toward them. The concept of panning & zooming from scrollable views have become more adoptable into view transitioning. Personally, I really like this. (Don’t know how to express in clearer form but…) This is to motivate the apps to bend more space and time, which is no real world medium will ever be able to do. Still, it is Beta 1. I wonder how the end result will be for the look of iOS 7. But, at least for now, the heading of this exploration is showing the glimpse of the wonderful world of computer graphic user interface. IB is about Organizing, not about Replacing. IB is a tool, not a regulation. Once you know the limits of IB and developed good programming habits, IB can be extremely useful. I saw too much terrible spaghetti codes, which could have been helped by adopting MVC principles and knowing the life cycles of UIViewController & UIView instances. As a way to help those developers to learn about the principles, I show them how to complete a project using IB and later replace it using only codes, to help them to realize the limits of XIB files and see how whole structure is preserved, to show the real reason for using IB: Separating codes. And once VIEW components are separated from others, I point out patterns or repetition, which are just configurations at loading of the instances. Other than iteration, they are not so easy to be solved creatively and quickly, without taking precious seconds, minutes, or hours. Also, there are more important tasks for fulfilling the requirements of the app, than tasks for calculating frames for labels. Unless you like it (I saw some people who like it), it’s smart or even necessary to use a tool which was developed to avoid working mechanically. Fortunately in Xcode, we have Interface Builder. Depending on the characteristic of the projects, the decision to use or not to use IB is totally up to the developers. When they decide not to, I hope it’s fully informed and experienced one, instead of one caused by estranged or uncomfortable feeling toward IB. As PopToo, specifically the Classic version, is taking a break, New PopToo is busy being developed. With the strong desire of the developer to try latest iOS methodologies, slowly but steadily, new looks have been tested and new ways to make the experience more enjoyable have been evaluated. Above image is showing not yet finalized look, but the main idea is to use the map as large and prevalent as possible. Previously, I posted about my big hope for Google Maps iOS SDK. Without being actually disappointed at it, I have realized what I really needed for PopToo’s map. Though Google’s map is great for showing regional information, the images are still bitmaps. For PopToo’s use of the map is focused around adding annotations, support for drastic zooming or scrolling, with better animation and rendering rate is more important. Also, Google’s APIs are not really free. Until I can find the right strategy for PopToo’s growth, I can’t help but to delay my final decision to use Google Maps iOS SDK. For now, the previous plan has been changed to use iOS’s original MapKit. Even though I recognize the many disadvantages of current MapKit, rather I am willing to make PopToo to complement it with the great features. You can see them soon. Hope you would like them. 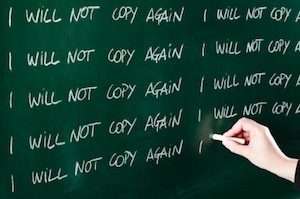 It’s given as a PUNISHMENT to a student to write sentences REPEATEDLY on a blackboard. If you are not careful, it’s quite easy to REPEATEDLY paste copies of identical code snippets. Not using iterative methodologies and not trying to find algorithmic solutions, is like let yourself to be in the state of uncomfortable incompetency, which is a PUNISHMENT.